For millions (or billions, perhaps) of people, standing face to face with the most feared animal on the planet is a cause for panic. The reason for so much fear can’t be explained by numbers, since sharks kill much less than bees, elephants, hippos, dogs and many other animals. 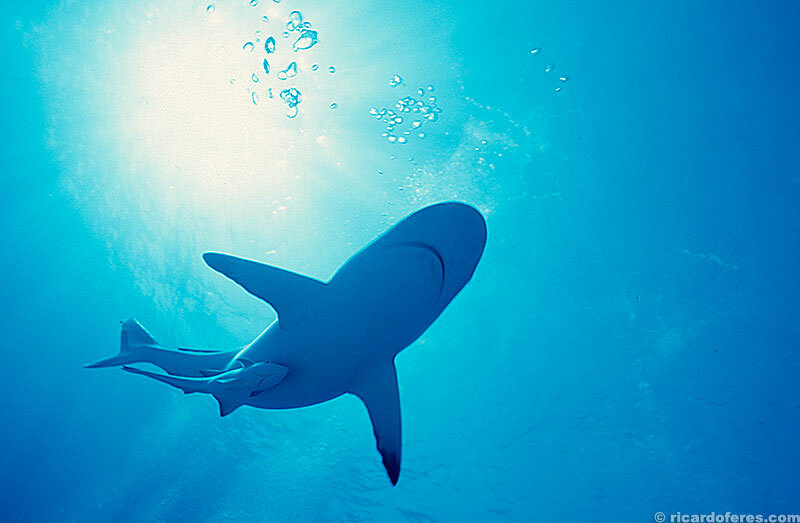 On average, five people die every year from shark attacks worldwide, but the image of “people-eating monsters” remains strong, fueled not only by the tabloid media, aware that sharks have a strong appeal to the public, as well as by popular imagination. 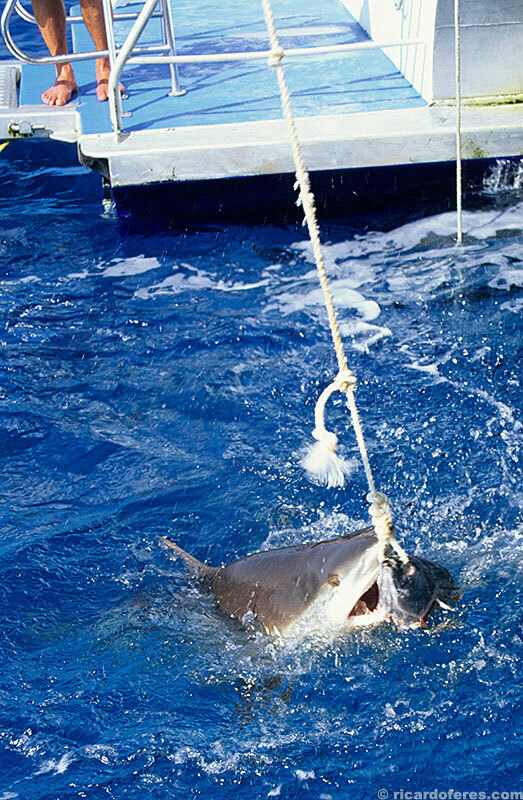 On the other hand, in the last years many reports have been made showing the reality of the relation between humans and sharks, helping to show the true situation of these animals, which so threatened by indiscriminate fishing may soon be on the verge of extinction. In the Atlantic Ocean, overfishing has already reduced the stocks of large sharks (white, bull shark, hammerhead, etc) by 99%, and because they are top animals in the food chain, this huge decrease its disturbing the balance. With the absence of their predators, the stingrays have multiplied excessively, impacting on the species they feed on, such as shrimp, crabs and scallops (Myers et al., 2007). This example comes from North Carolina in the United States, but if studies are done in other regions, the data will certainly be alarming as overfishing occurs in all oceans. 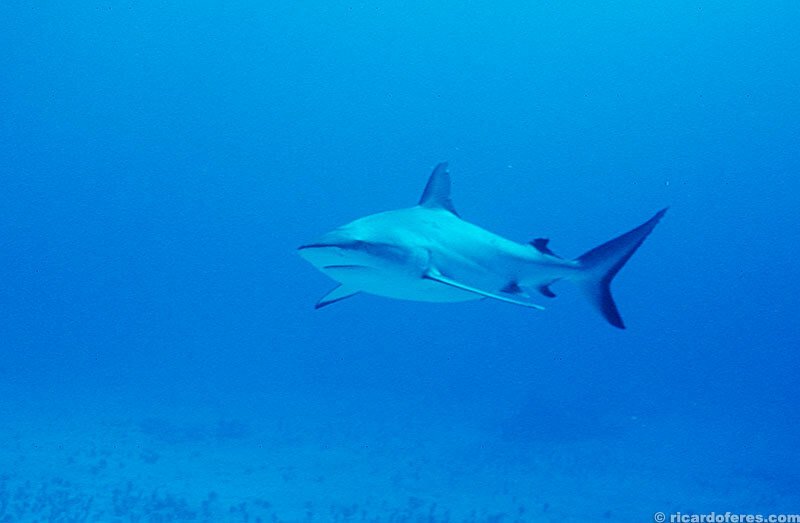 For most divers, finding a shark (underwater, not on a plate) is often a source of joy, as having the privilege of observing such a beautiful animal in its habitat is an unforgettable experience! 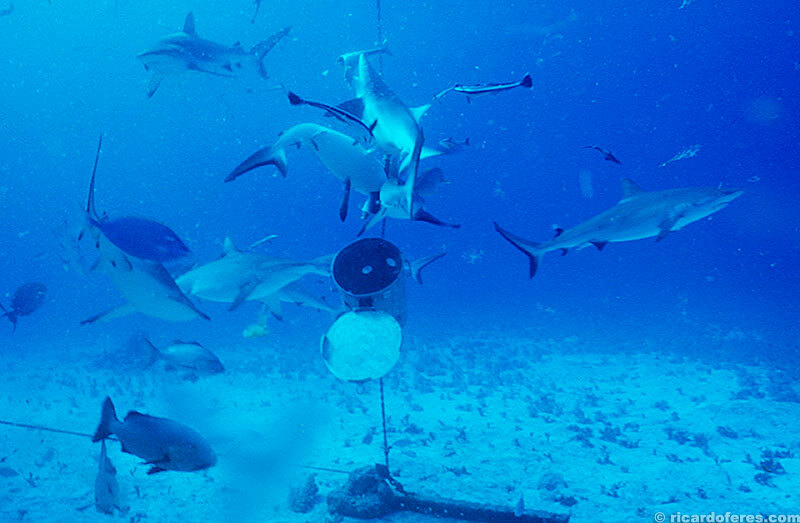 Consequently, this fascination of sharks on divers was soon perceived by the diving industry, which started to promote the encounter without being through the glasses of huge aquariums. But how do you ensure customers that they will find sharks? Simple, throwing in the water dead fish and blood, attracting them to the place where the divers are. 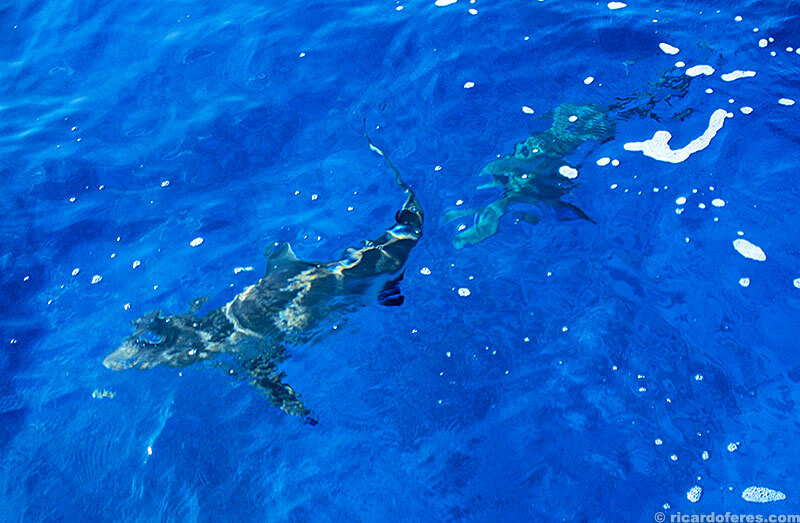 With the sharks around the boat, the fun is already guaranteed, but is it safe to get into the water after you’ve encouraged them to eat? Well, the very low rate of accidents during shark feedings shows that it is. 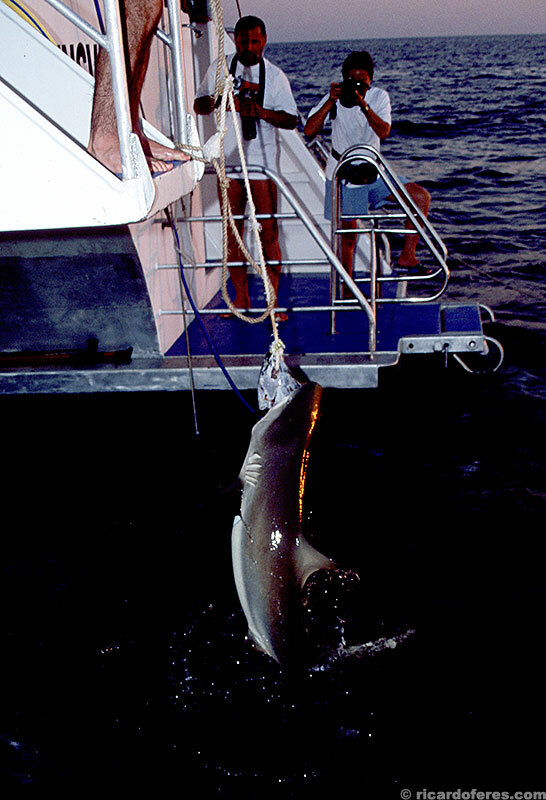 It is worth mentioning that this type of diving, besides feeding the sharks, also fuels a great controversy, since many biologists affirm that to offer food to the sharks with people around associates the human presence to the food, being able to cause accidents, besides to change the natural hunting behavior of these animals. On the other hand, getting people so close to such dreaded creatures and coming back with no scratches helps to overthrow the myth of ferocity. 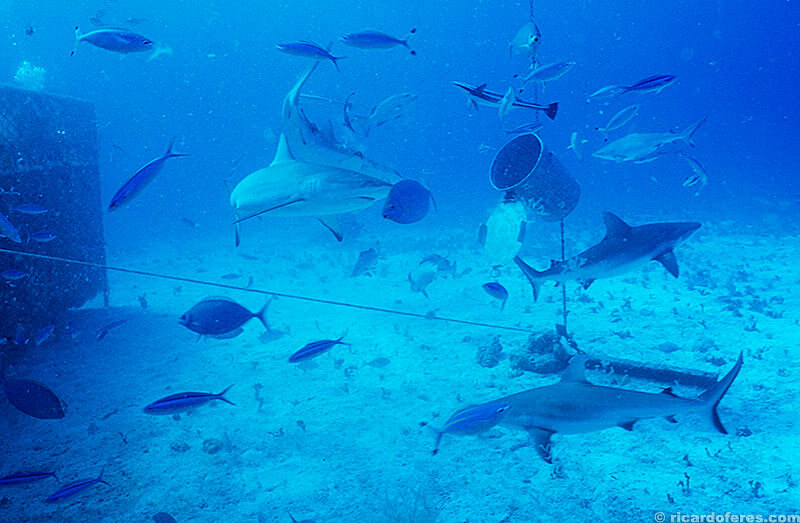 Shark feeding dives happen in different parts of the world, each with its species and safety rules. 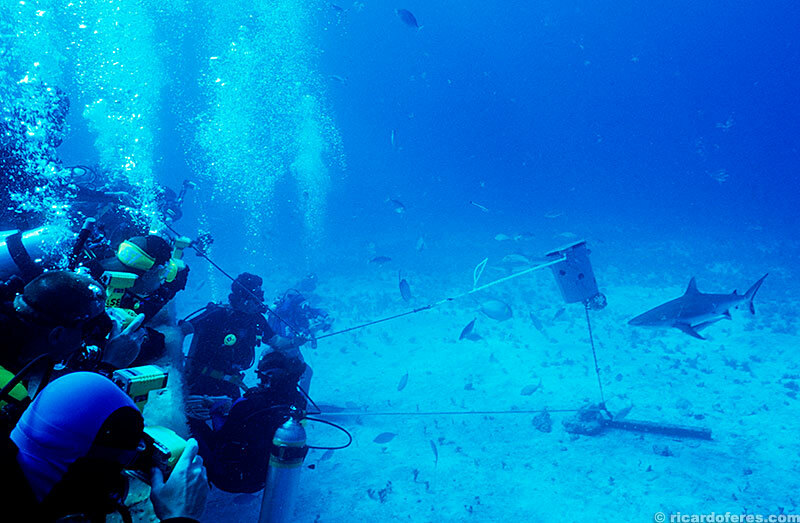 The photos below show of a dive operation on the northeast coast of Australia.